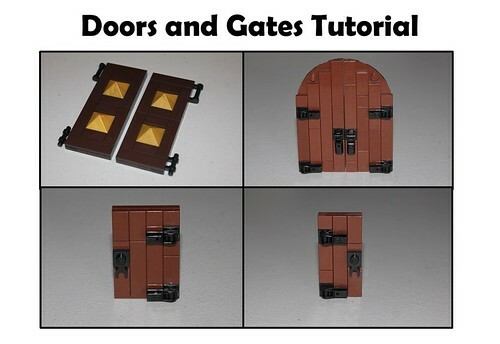 Doors and gates are a very important part of most buildings, but sometimes they can be a challenge to design. Today we’ll be taking a look at three simple designs that we’ve found work well. We’ll start off with a design that is quite simple, but elegant. 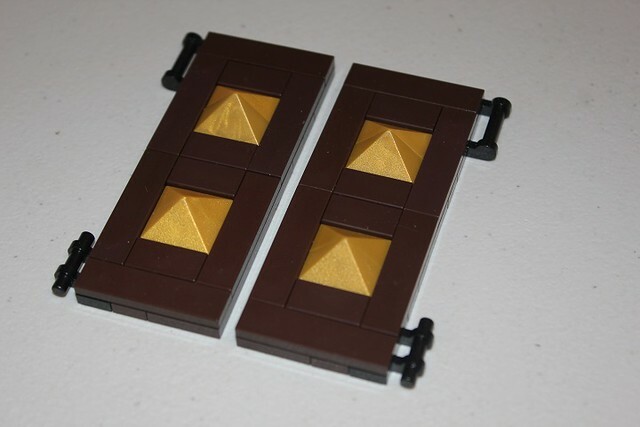 Some gold 1x2 pyramid slopes add a little bit of decoration, without being very piece intensive or complicated. 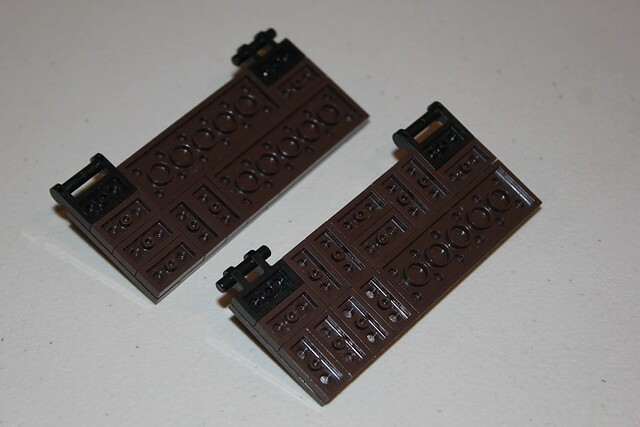 The main thing to consider with this design, at least when building it in dark brown, is the placement of the plates on the back, which is shown in the next picture. 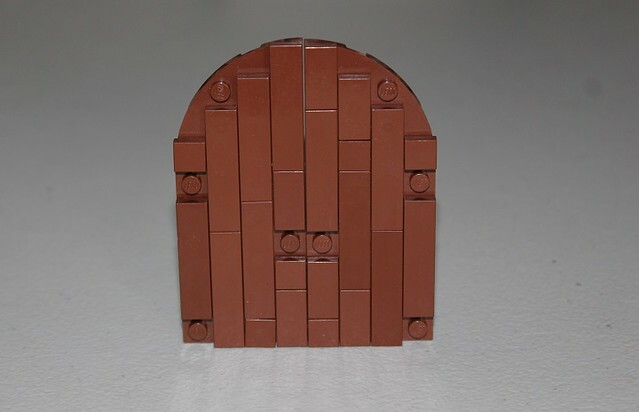 2x6 plates and a few 1x2 plates make the strongest design, but you can also do it with more 1x2s, as shown in the door on the right. 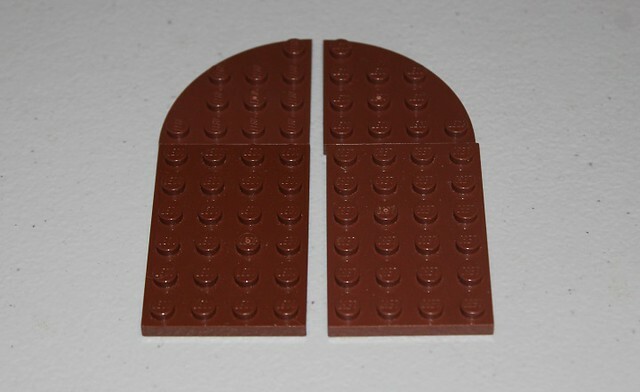 The next door design creates a curved top using 4x4 corner wedge plates. On top of the bottom plates, add some tiles oriented vertically to give a nice wood-grain look. 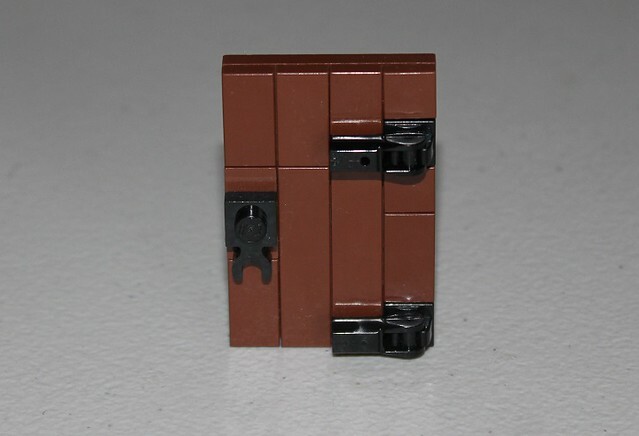 Make sure to leave a few studs open so that we can connect door handles and hinges. There are lots of ways to make handles and hinges, but for this particular design I used 1x1 tile with clip, and bar holder with handles. 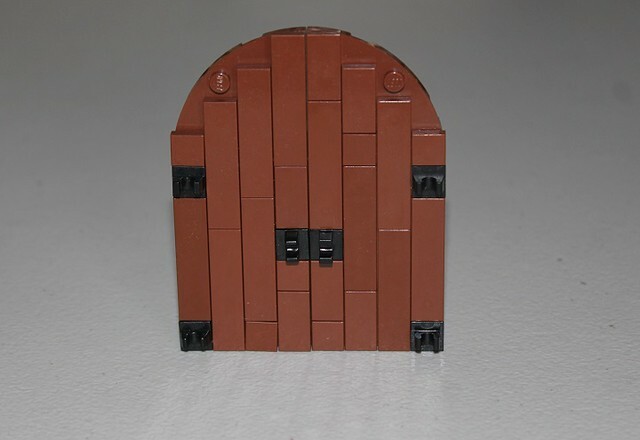 Our final door in this tutorial is more of a generic door. Start off with a 4x6 plate, and add some tiles, like several of our other designs. 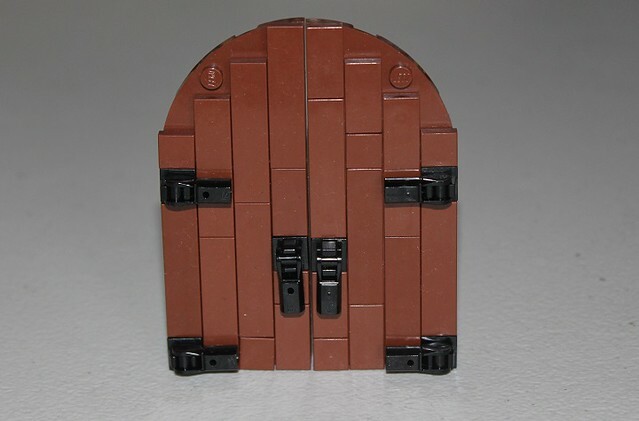 Again, be sure to leave a few studs exposed so that we can connect the handle and hinges. 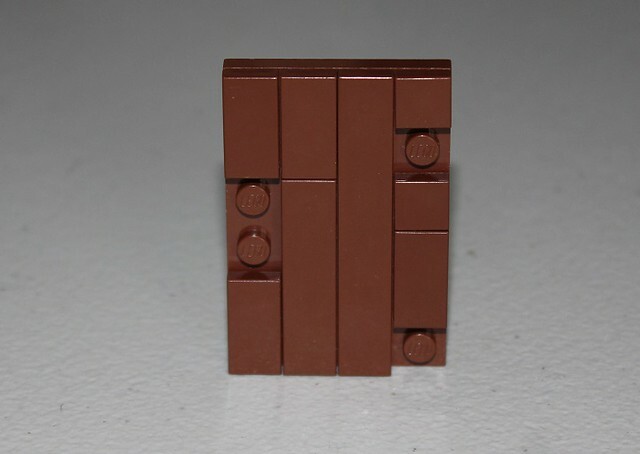 A centering piece and some 1x1 tiles with clip will allow us to add them. 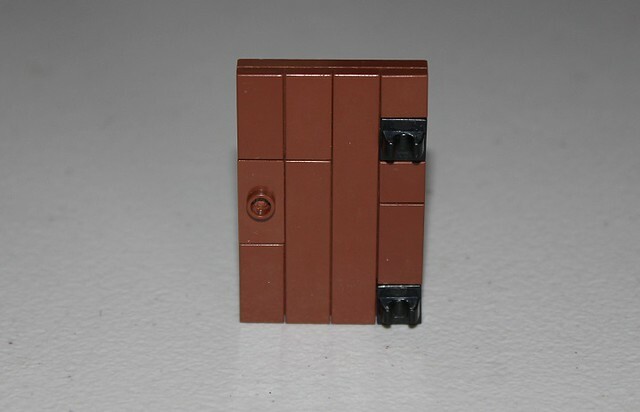 By putting the top hinge a stud below the top edge of the door, it allows for an arch to fit over the door if you like. Again, I used bar holder with handles as the hinges, but I swapped the handle out for a 1x1 plate with vertical clip. 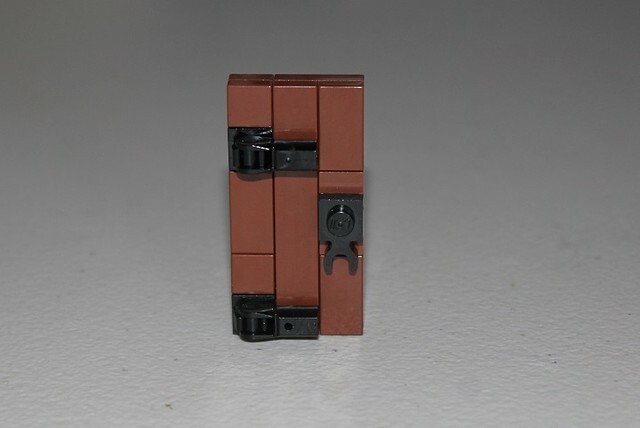 You can also shrink this design to 3 studs wide. We hope you enjoyed this tutorial, and as always, let us know if you have suggestions for future tutorials in the comments!